Yoga is about peace, connecting with your inner-self, and living in harmony with the environment that surrounds us. When you purchase a mat to channel your inner-self, you expect the mat to be at one with the environment just as you hope to be. It may surprise you, but many of the popular brand name yoga mats have chemicals in them that are poisoning your bodies. Mats are comprised of a variety of materials, some more harmful than others. 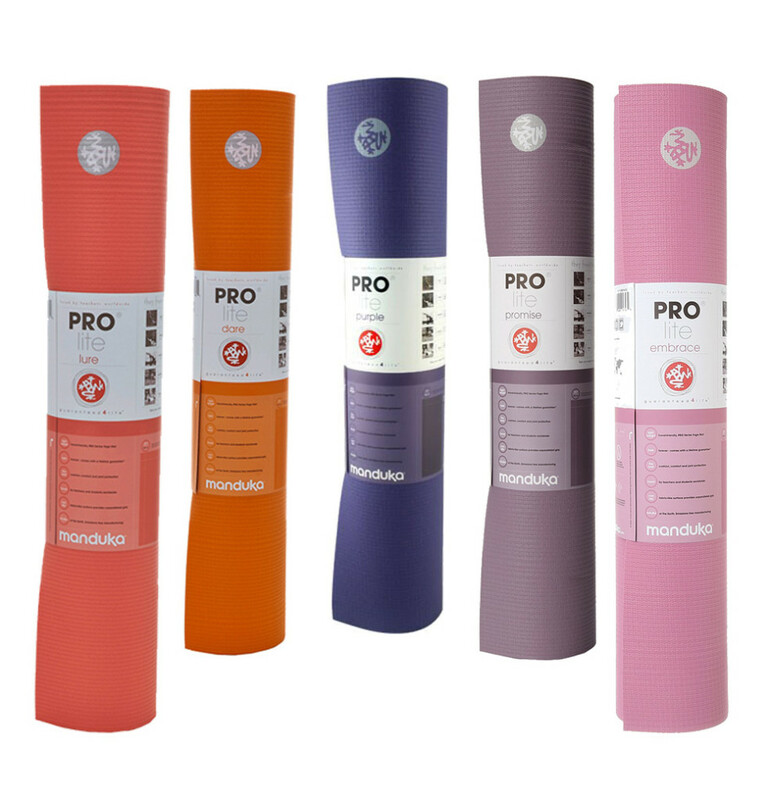 Many of the brand names that are connected with yoga accessories, such as mats, are created with the use of these harmful chemicals. Seemingly innocent, these poisonous culprits are: polyvinyl chloride, (PVC), polyurethane, rubber, and latex. Here we discuss chemicals that are often found in mats that are advertised as being eco-friendly and list a few brands that are made from these chemicals. It is important to practice your yoga on a mat that does not contain harmful chemicals and is safer for you and the environment. This chemical is hard to detect as it does not have an off-gas odor, yet the material is still toxic to the user. When it is combined with an open cell material, it collects bacteria which is unsanitary and it is not hypoallergenic to those with a sensitive skin. Both Gaiam and Manduka Pro use this chemical in the composition of their mats. Polyurethane can come from three different types, and is a name that is given to a class of petrochemical resins (chemical products derived from petroleum) that contain isocyanates. These isocyanates are dangerous irritants that can distress the eyes and respiratory tract of an individual who comes in contact with the chemical. Not knowing which type of polyurethane is used, also poses the problem of not knowing the actual toxicity a mat has within. Liforme and Lululemon are two brands that use this type of chemical in their mats. Mats that are created with the use of rubber are susceptible to vulcanization (meaning it needs to be made more durable by adding sulfur or other curatives or accelerators). These mats are also vulnerable to ozone cracking, the rubber will degrade and needs to be treated with other materials, these other materials can also be toxic. Overall, this toxic material does not have a hypoallergenic property that a user craves when wanting to practice yoga. It has an off-gas odor of rubber that is unpleasing when you are down close to the mat in many poses, such as Savasana. 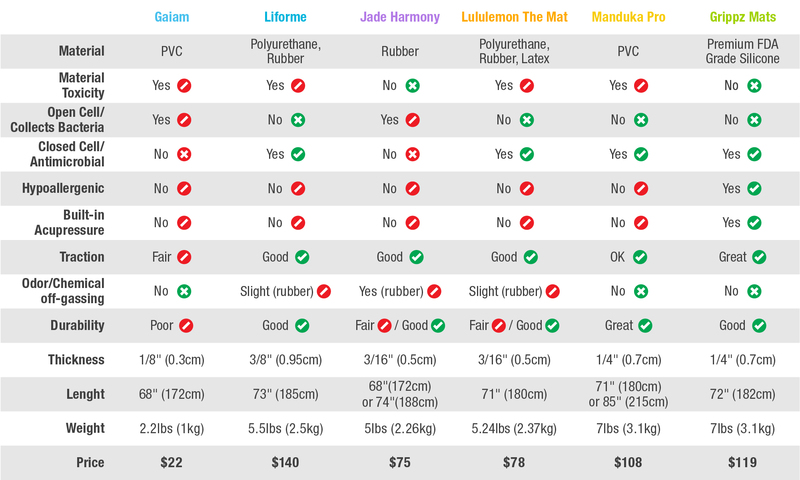 Liforme, Jade Harmony and Lululemon are known to use rubber as a material in their mats. Latex can come from nature, but can also be made synthetically from bonding molecules chemically. Many people are allergic to latex and this can be a problem for those who may not be aware that this mat contains it within. Those with a Latex sensitivity should avoid mats that come from Lululemon. 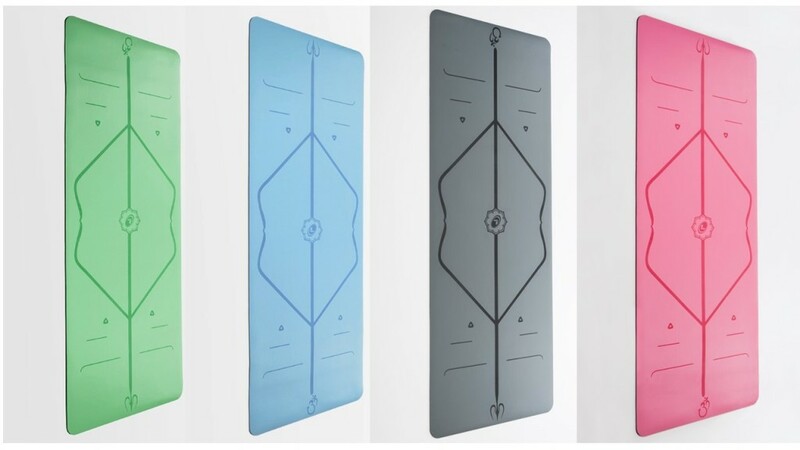 While all the other mats require a chemical binder, (the way in which the materials are filled in, or are combined with other particles), Grippz Mats are the only mats composed from premium FDA grade silicone (material that is approved by the Food and Drug Administration). It is a regulated material that checks off every want and need of the Yogi that the other mats don’t. Not only are they non-toxic, but they also are closed cell, as they prevent bacteria from building up within them. Feel free to get up-close and personal as they are also hypoallergenic for the sensitive-skinned Yogi. When you lie down for your Savasana you can be sure to be at ease with your relaxation without the distractions of a lingering odor emanating from within as they are also odorless. 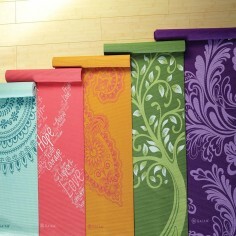 PLUS, Grippz Mats are the World’s only Acupressure Yoga Mats. Making the right decision about which mat to purchase can be difficult. There are many factors to consider; the most important of which is, does your mat have chemicals that poison your body and that of the environment? 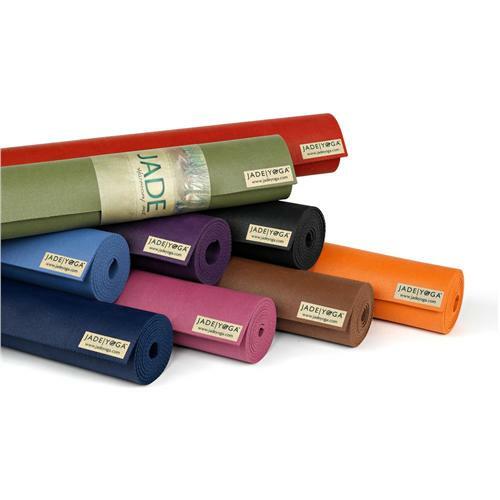 Feel confident in your purchase of Grippz Mats, knowing that this mat offers more than just a great-quality product perfect for your yoga practice, but is also safe to use, which creates peace of mind for you, the Yogi. is an avid Yogi, proud mom of two boys, and an advocate of Health and Wellness living. She writes her passion and loves to connect with others through her writing.